Generally speaking, the day to day operation of the railway covers our normal running costs. It is the Special Events that generate the profit to enable the improvements that keep the railway such an interesting place to be. So if you are only able to volunteer here your contribution is greatly appreciated. This Profile sets out those extra duties we require volunteers to fill on Event days, which are of course extra duties to the normal operation of the Railway. If you already volunteer elsewhere, a special event is an opportunity to try something different to add variety. Depending on the event this duty is required at both Toddington and Winchcombe. Your duty is to redirect our visitors to the nearest car park as the main car park by each station will be closed to normal parking. An ability to deal tactfully with these visitors is essential. Depending on the event car park attendants are required at Toddington and Cheltenham race Course. The main requirement is to ensure our visitors park sensibly so that we can maximise the amount of space available. Our visitors also need to park in a manner where they can depart later in the day without hassle! While all our stations have footbridges not all of our visitors can use them. On event days we therefore man the crossing points at the end of the platforms in Toddington and Winchcombe to ensure our visitors can cross the line safely. To undertake this duty you will need to be a volunteer elsewhere on the railway and have had track safety training. You will also be in possession of an orange high viz waistcoat. On many event days our stations are closed sites, which means we have to check tickets as our visitors arrive at the gate and not on the train. This duty is required at Toddington and Cheltenham and on occasions at Winchcombe. Again an ability to deal tactfully with visitors is essential. These are needed on some of our special trains. On fish and chip specials the duty is to help serve the fish and chips and clean up afterwards while on race trains to take our drink orders and cash and obtain the drinks from our bar. On these train we like to have two stewards to each passenger coach on the train. You could even find yourself in charge of the Railway as Sir Topham Hat (better known to many of us as the "Fat Controller"! We need volunteers to play the role of Santa. You need to be good with children and have a larger than life personality! You need also to be able to keep to time as your time talking to each child is limited. However you will always have an 'elf' on hand to help you. Elves are general helpers on the day whose duties could include helping with the running of the elf centre, checking tickets, assisting on the platforms at each of our stations or working with Santa in his grotto to ensure all visitors have a successful visit and that we run to time. The provision of refreshments at Winchcombe is undertaken separately to our normal volunteer catering. If involved with this aspect of Santa specials you will help serve tea, coffee, soft drinks, mince pies and biscuits to our visitors either before or after they see Santa. For the first four duties listed above we try and operate a shift system so that you are not expected to work for more than 4 hours. With each of the on train duties you will be expected to help the buffet and operational staff keep the train clean, particularly on the turn rounds at the end of each journey. For the Roles of Gate Keeper and Ticket Inspector you will be dealing with the public some of whom may think they do not require tickets as they have concessions which do not realise are not available on event days. You will be given a name badge and for Thomas a staff badge, which you are expected to wear. For some Roles at our Children's events DBS background checks are required. We are recruiting into this Department. Please consider joining this team if your first choice is currently not available as all new vacancies will advertised internally before being posted on this web site. Please see here to learn how to become a volunteer. 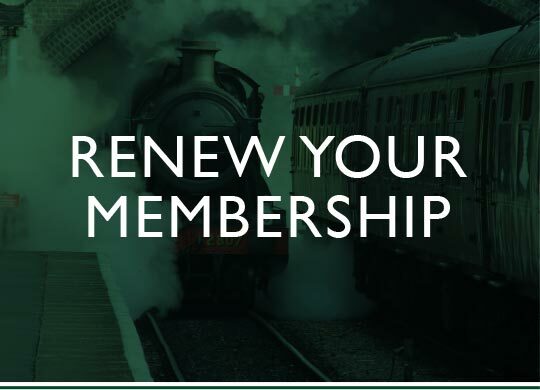 Membership of this Team is an important visitor facing role which will bring you into contact with volunteers from other departments which will enable you to learn about opportunities elsewhere on our Railway. 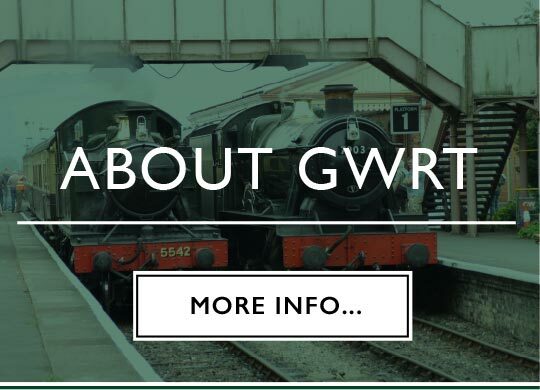 The Gloucestershire Warwickshire Railway Trust (GWRT) is a Registered Charity (No. 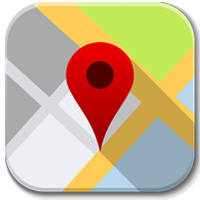 1133186) and a Company limited by guarantee. 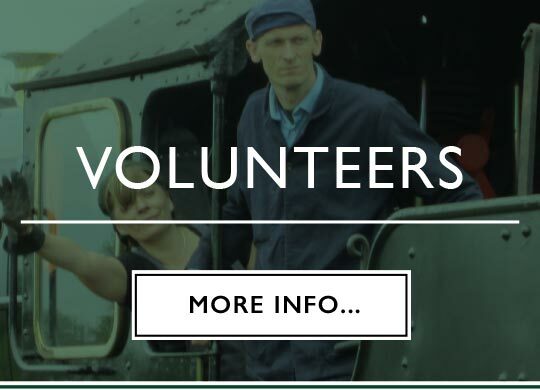 The Board comprises nine directors who are all volunteers working in various departments of the Gloucestershire Warwickshire Steam Railway (GWSR). The aim of GWRT is ‘to maintain and develop a railway museum for the benefit of the public, buffer stop to buffer stop, fence to fence’. GWRT does not own any infrastructure or operate any trains. 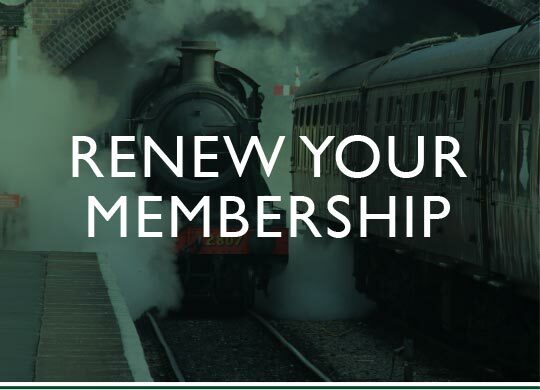 Copyright © 2019 Gloucestershire Warwickshire Railway Trust. All rights reserved. Database rights protected.